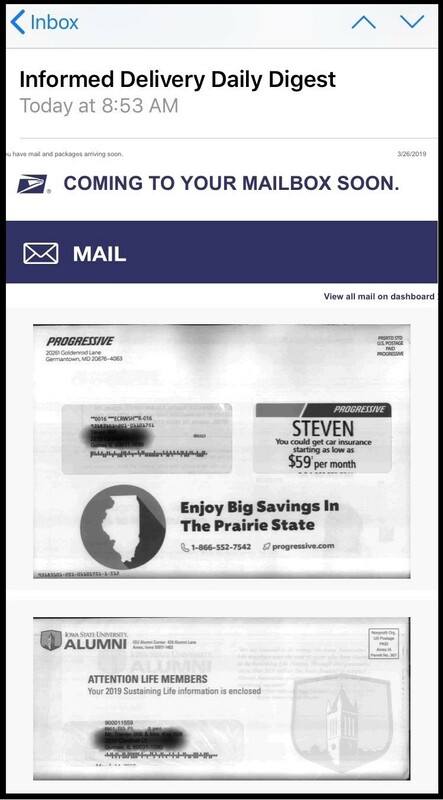 Informed Delivery is a Postal Service program that sends consumers an email with grayscale images of the mail pieces they will receive in the next day or two. Images are provided of the exterior, address-side of letter sized pieces that are processed and scanned through USPS automated sorting equipment. Images are not currently captured for flats, and some mail may bypass automation and will not be scanned. The images can be viewed via email, an online dashboard or mobile app. Individuals can sign up for the program at https://informeddelivery.usps.com/box/pages/intro/start.action. The service is available in most areas of the country, but not for every zip code. After a one year hiatus, the Postal Service® has announced mailing promotions for 2019. For the past few years the Postal Service has offered mailing promotions and price incentives to create awareness for new and innovative uses of mail. Due to the absence of any presidentially-appointed governors, they did not have the authority to establish promotional pricing for 2018. Now that there are two governors on the board, promotions have been approved for 2019. The promotions “continue to encourage marketers, printers and mailers to utilize new technology and print techniques that enhance the traditional benefits of a physical mail piece.”₁ The hope is that response rates increase, the value of direct and transitional mail will increase, and the volume of mail will rise or remain steady. On January 27, 2019 postage prices are going up, and for J&Q direct mail clients we estimate a $.007 to $.008 increase per package. In October the U.S. Postal Service filed a postal rate adjustment with the Postal Regulatory commission (PRC). If approved by the PRC, postage would increase an average of 2.5% for both First-Class and Marketing Mail (previously Standard Class). The PRC is expected to approve the adjustment by November 13. Scott Dempster has recently joined J&Q as National Sales Director. Scott will be responsible for new business development and fostering relationships with accounts in a variety of vertical markets throughout the country. Scott has extensive experience working with market leading clients in a variety of industries to develop and produce their direct mail programs. He provides outstanding service to his clients and is knowledgeable in multiple production platforms and workflow solutions. With so many security breaches at major companies in the United States and around the world, and the implementation of GDPR in Europe (European Unions’ privacy regulations), security has become a top concern in corporate boardrooms. How do we keep sensitive information safe from hackers who are persistently working to infiltrate computer networks (both corporate and personal networks at home) to steal identities, social media accounts, financial, health and other valuable personal information? It’s not enough to just say you have this data secured; you must be able to prove it. Security is a big deal at Johnson & Quin. We process and print millions of records each year and most contain PII – Personally Identifiable Information – like names, addresses and other identifying pieces of information. Because security of data is critical to marketing communications, having the expertise to stay up-to-date with necessary processes, certifications and systems is essential. Manish Haria who has been with J&Q for 18 years was recently promoted to Vice President of IT and Security, and he will help us stay at the forefront of security and processing. Jim Onorato has recently joined J&Q and our Sales Team as National Sales Director. Jim will be responsible for new business development and fostering relationships with accounts in a variety of vertical markets throughout the country. He has extensive experience working with corporate clients in a variety of industries to develop strategic marketing plans for printing and direct mail programs. Jim has developed practical, cost-effective marketing solutions that meet client response and financial objectives. We look forward to the expertise and marketing solutions that Jim can provide for J&Q’s clients. 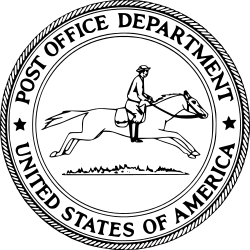 Running pony logo used by the U.S. Post Office Department before the creation of the USPS. If you are in the direct mail business you know that postage rates increased in January with First Class stamps now 50 cents. Did you know that the U.S. Mail first began in 1775 when Benjamin Franklin was appointed the first postmaster general during the Second Continental Congress? When the Constitution was ratified in 1788, Congress was given the power “To establish Post Offices and Post Roads” – and the official Post Office Department was created. The first postage rates were signed into law by President George Washington on February 20, 1792. Different rates were charged based on distance and weight, making the postage process complicated and often expensive.